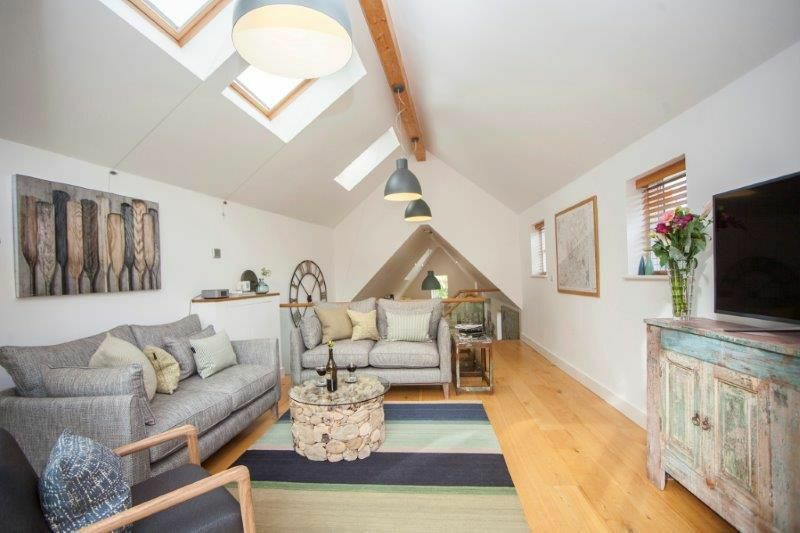 Alongside the picturesque Kennet and Avon canal is this spacious and relaxing skandi-style house for 4 with two bedrooms and two bathrooms. 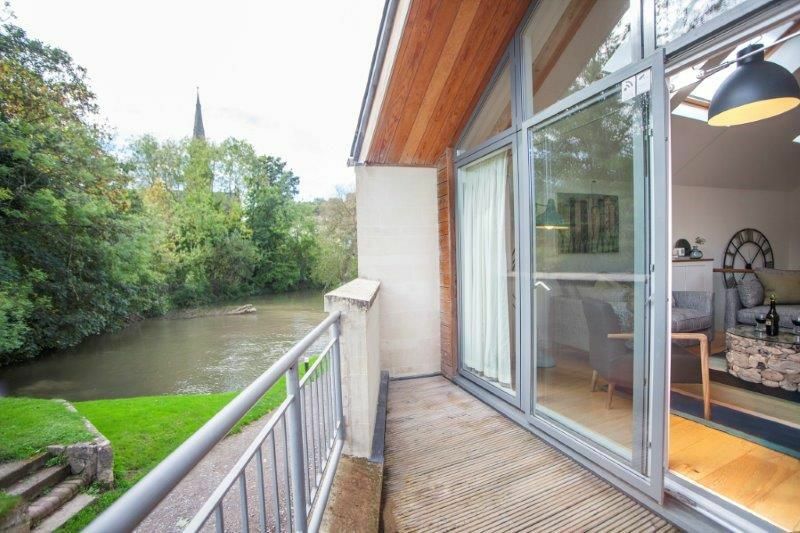 This contemporary water-front retreat has a parking area for 1 car and is just a few minutes’ walk to local shops and restaurants, 5 minutes walk from Bath Spa train station and 10 minutes walk into the city centre. 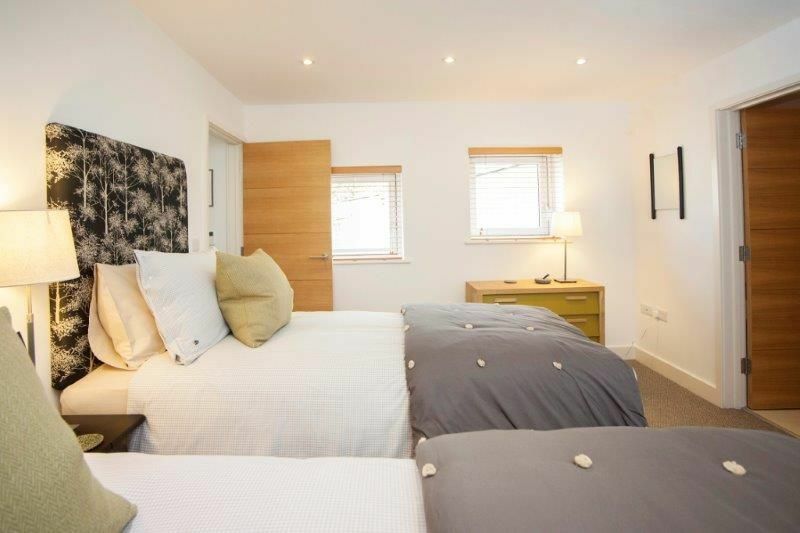 1 Double bedroom with en-suite. With a 5’ king size bed and a small en-suite shower room. Living space. With seating for 4. Looking onto the Kennet and Avon Canal. TV with Netflix. Wi Fi. Azatom home-hub with Bluetooth and phone connection. Outdoor space. A small south-east facing balcony with an outdoor bench for 2. Cars. A parking space for 1 car is provided outside property. Location. 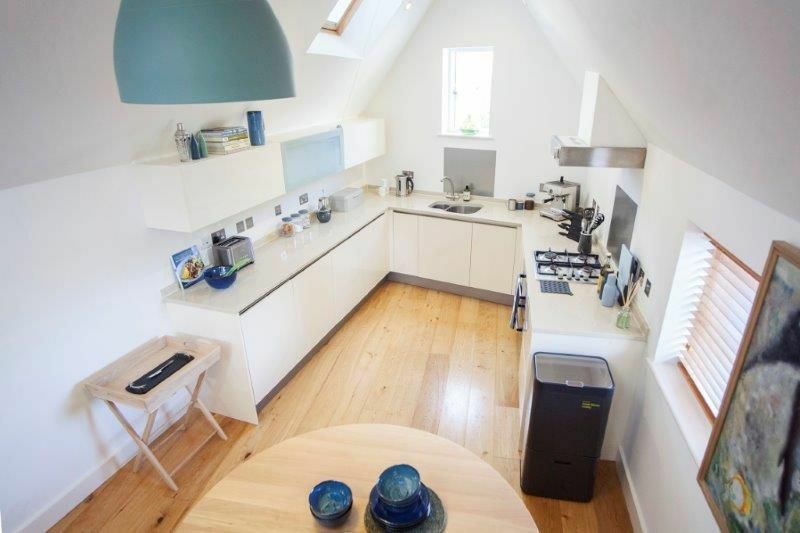 Situated along from Widcombe parade of shops with a small supermarket, good local gastro-pubs for lunch and dinner, coffee shops, florist and deli. 10 minute walk to the city centre. 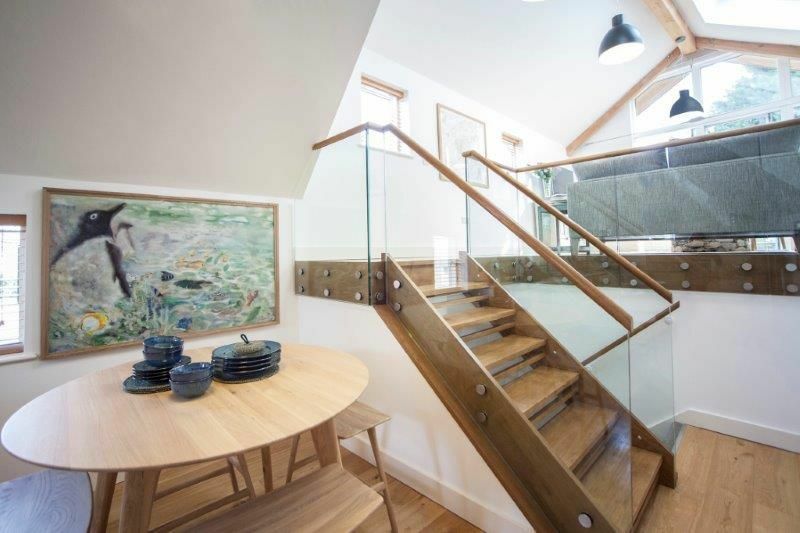 A unique architect designed property making the most of the great canal-side location, this unusual contemporary house ranges over 4 floors with oak floors, a glass balustrade and sleek stone-tiled kitchen and bathrooms. The large open-plan kitchen, dining and living areas are split over 2 levels and opened to roof height, making the most of the light, space and canal views. The stylish living area in soothing marine blues and greens has two sofas, each seating 2 along with an armchair. The TV sits on a weathered beach-comber style sideboard containing books and games. 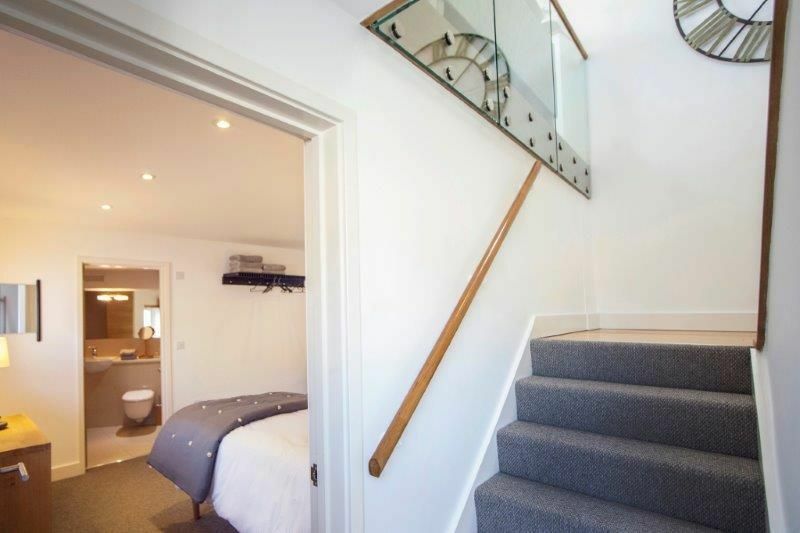 A glass apex has a door leading onto a small balcony with a bench for 2 overlooking the canal. 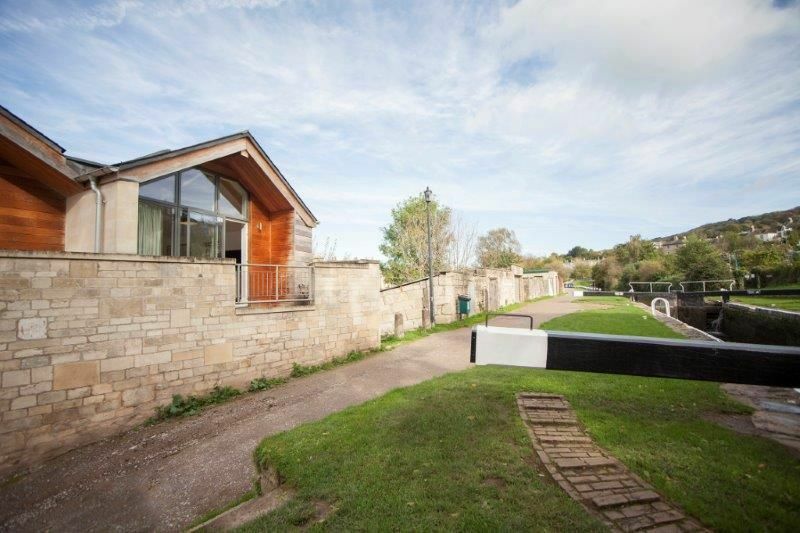 From the living room or balcony, you can watch the action at Wash House Lock, transporting leisure barges into side pound (a small reservoir for re-filling) leading to the spectacular Deep Lock, which at nearly 6 metres is the UK’s 2nd deepest lock. 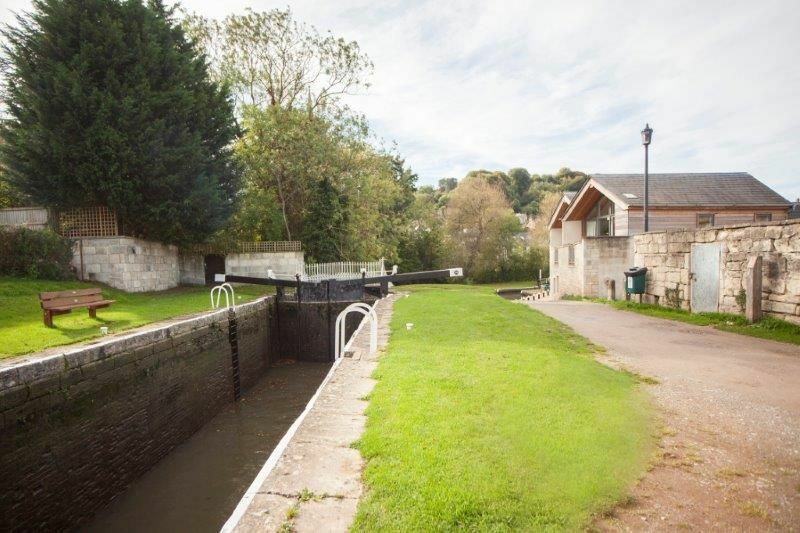 Officially opened in 1990 by the Queen, the Kennet and Avon Canal is a beautiful cruise-way with boats and barges regularly passing and a towpath for cyclists and walkers out enjoying Bath and lovely villages and towns beyond. The 87 mile long route links London with the Bristol Channel and is made up of three historic waterways with lots of wonderful scenery. Hire a barge, an electric day cruiser, canoes or bikes to explore further. 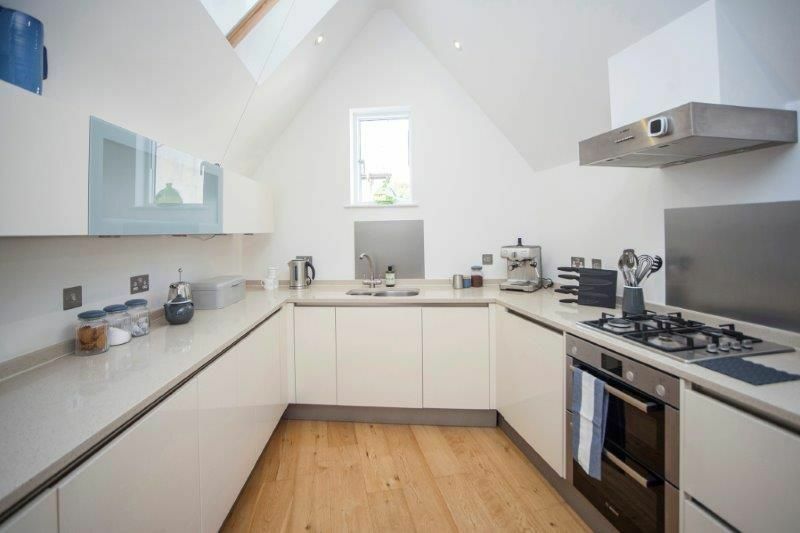 The large bright kitchen diner has a contemporary fitted cream kitchen with pale silestone work surfaces. There is a 4 ring gas hob, a separate grill and oven, a microwave, a small fridge and separate freezer, a small dishwasher and a combined washing machine and dryer. There is a good range of cookware and books for inspiration. A round oak table has 4 wide stools and a sage coffee maker is provided, (requiring ground coffee). An under stairs utility cupboard has further household utility items. 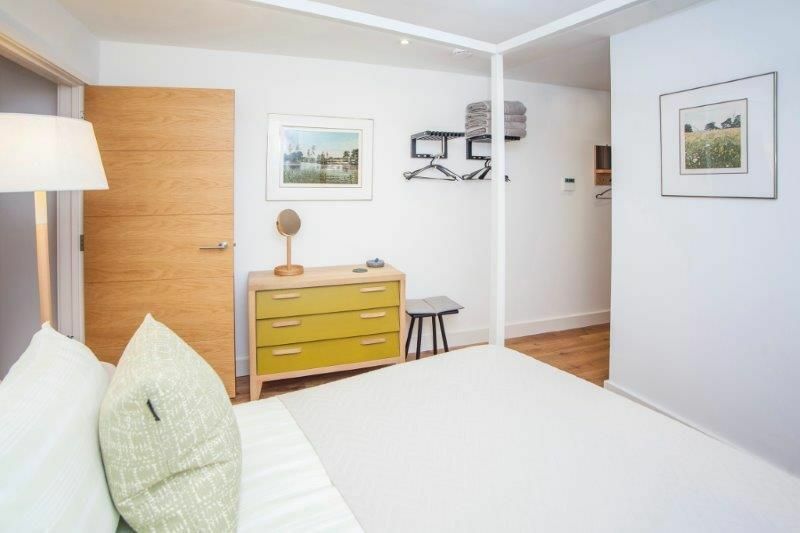 Downstairs is a spacious sage and grey twin room with two high single 3’ beds that zip and link to become a 6’ superking bed, a small chest of drawers and a hanging rail with shelf space for just towels or accessories. 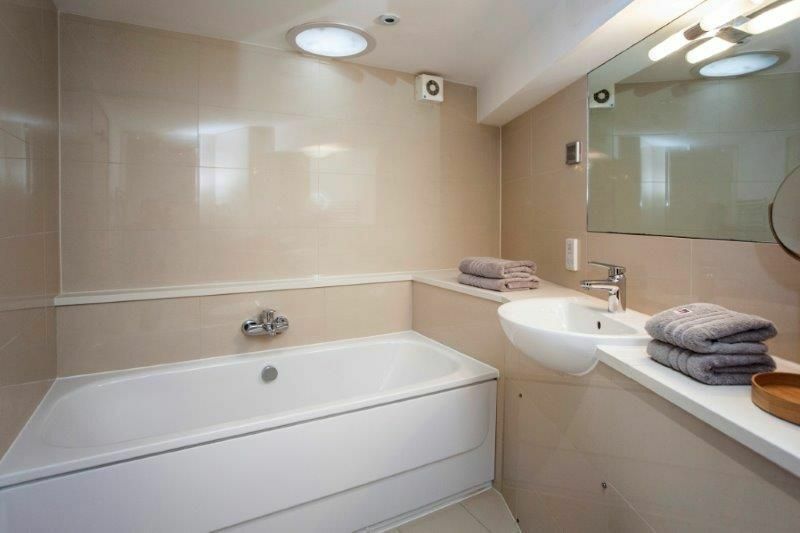 The sleek taupe- tiled en-suite has a bath, a large walk-in shower, a hand basin and WC, with plenty of shelf space for toiletries. Down another flight of steps is a sage and green double bedroom with a modern 4-poster 5’ king size bed, a small chest of drawers and a hanging rail. 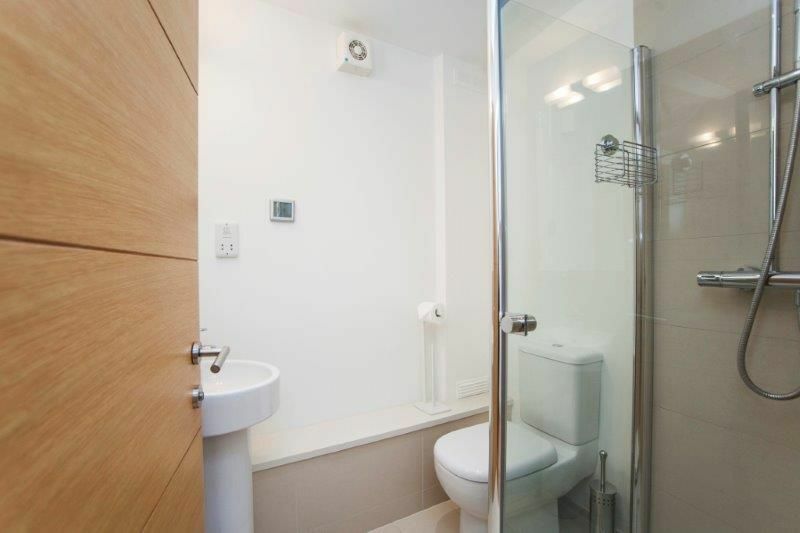 The en-suite shower room has a small shower, a hand-basin and a WC. Next to the en-suite is the previous front door, now kept locked and with a curtain over to create a cosy and private bedroom space. The actual entrance is at landing level close to the living areas. The property is located on the South side of the city in a gorgeous area just outside of Widcombe. Within a two minute walk you have access to Widcombe Parade which has local facilities including a bustling deli, newsagent, mini supermarket, chemist, a couple of coffee shops, hairdressers, florists, several pubs, Indian, Chinese and American takeaways. There is also a popular gastro pub named The White Hart which has an excellent reputation for good, locally sourced foods and has alfresco dining in its pretty walled garden. But more importantly from literally outside of your home leads onto one of the most, well-loved waterways in the UK, the Kennet & Avon Canal path. The path is beautifully scenic with bustling canal life to keep you entertained. The path is perfect for anyone, from your evening stroll to your experienced hiker. You can also cycle (bike hire available locally) along the canal to the interesting Saxon Town of Bradford on Avon (12 miles) which boasts a 12th Century Tithe Barn with craft shops and traditional tea rooms. Bath is a city best explored on foot to appreciate its Georgian architecture and vibrant street culture. 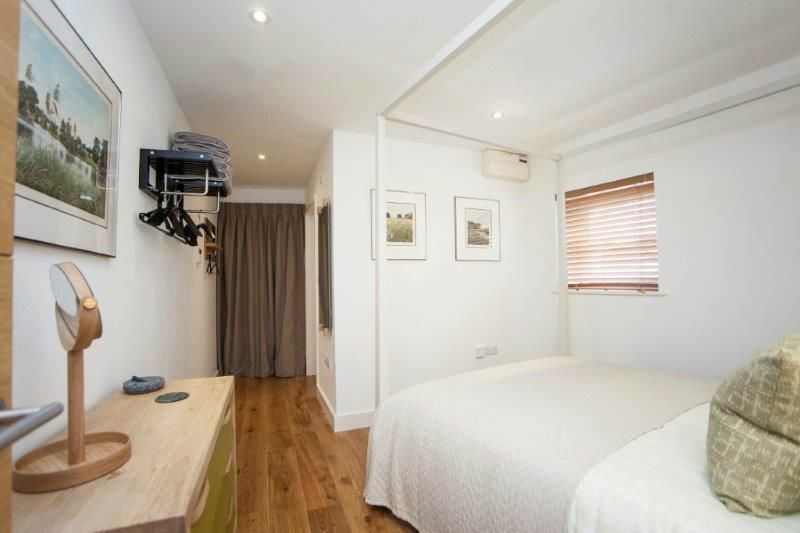 Bridge Lock Mews is perfectly positioned to enable you to leave the car behind and walk over a footbridge to the train station and the start of the city which has many historic sites and museums and galleries, as well as great shops, bars and restaurants. After all the activity, pamper yourselves in the piping hot pools of the Thermae Spa, or enjoy a night at The Theatre Royal or Komedia Comedy Club. 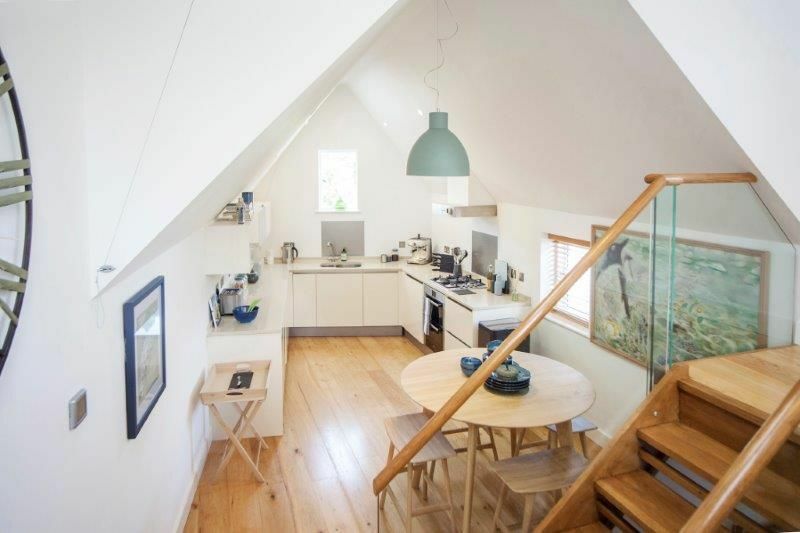 The house is perfectly situated beside the Kennet and Avon canal, a short walk from the railway station and Bath city centre. There are shops, pubs and restaurants a short walk away in Widcombe village. The house is well equipped with good quality equipment and furnishings and, as always, was spotlessly clean. 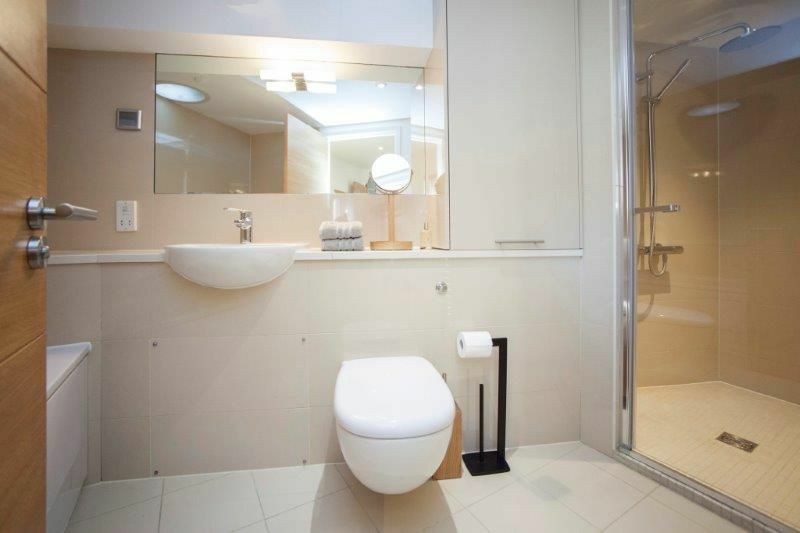 Bath Holiday Rentals privide an excellent service. We particularly like the personal greeting at the property, and the little extras they provide, like milk and cereal for breakfast and a bottle of wine, are always welcome. Thanks for another great stay, we'll be back. This place is a great location with view of the canal and an easy walk into town. Great base for our family of four while we explored Bath and surrounding areas. The cottage was a great location to get into the city centre. 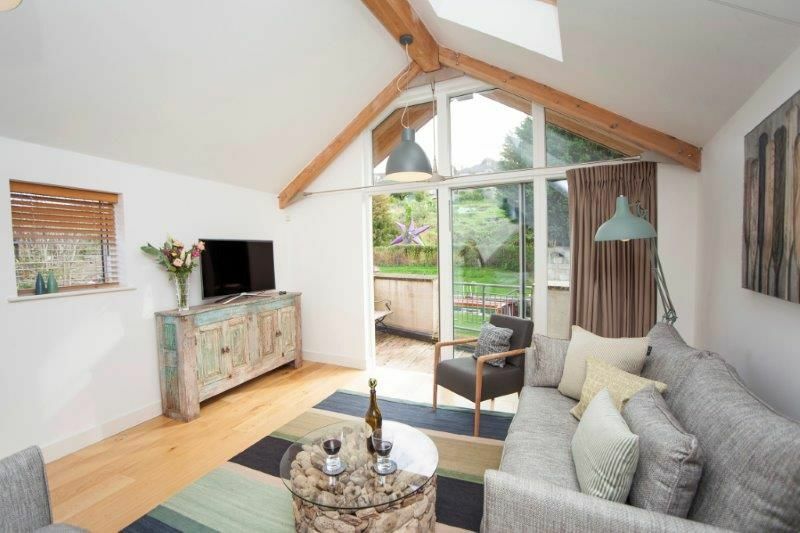 The cottage was well decorated throughout and fully equipped with all that we may require. We had a really lovely and comfortable stay. Address is quite new so taxis struggled to find the property. We had a lovely stay at Bridge Lock Mews, and I wanted to thank you for all your help. Much thought had obviously gone into making your guests' stay comfortable. Laine was very welcoming and helpful. It was a perfect spot for us to use as a base for our day trips to the Cotswolds and also to explore Bath. 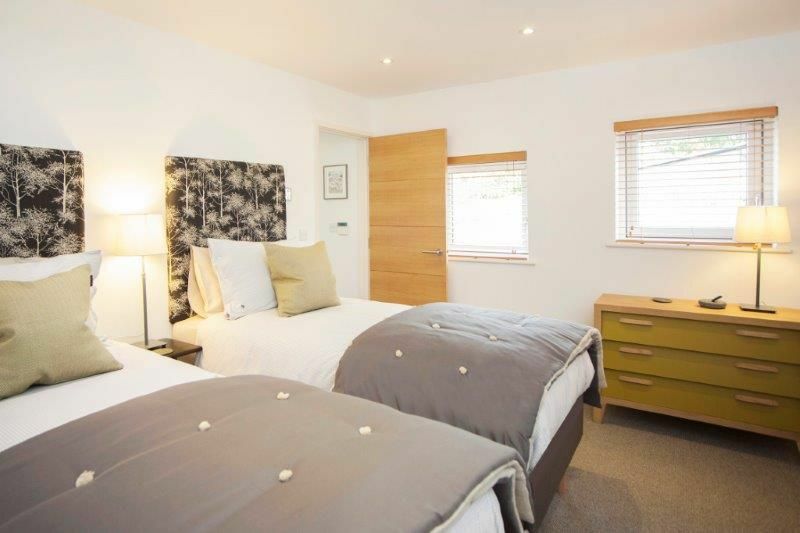 With a 10 minute walk to the centre of Bath this made it an ideal base for exploring all the main attractions. The benefit of a private parking space meant we had no hassle trying to locate parking. Having never been to Bath before we found it to be a beautiful city. The Fudge kitchen is a must to visit. The best fudge we have ever tasted. The property was immaculately presented with all the necessary equipment you could need. Our girls especially liked the Netflix and fast wifi. For the past 5 years we have used Bath Holiday Homes for our annual summer pilgrimage to the beautiful city of Bath. 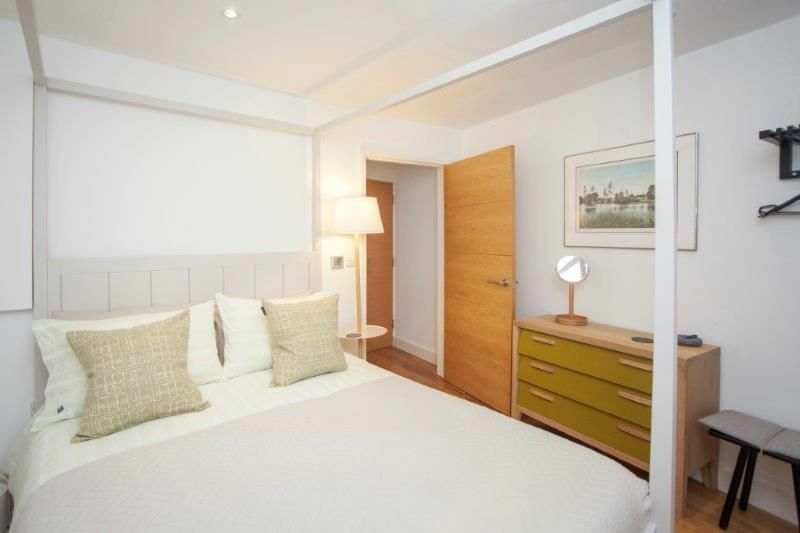 Their properties are always prepared to a high standard, are in very convenient locations and any minor issues that may arise are dealt with quickly and efficiently. 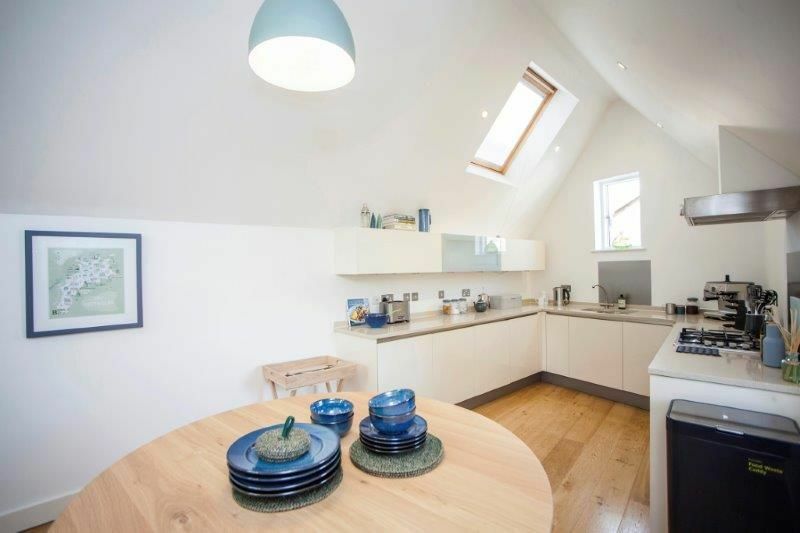 I would have no hesitation in recommending Bath Holiday Rentals for your accommodation requirements whilst staying in Bath . 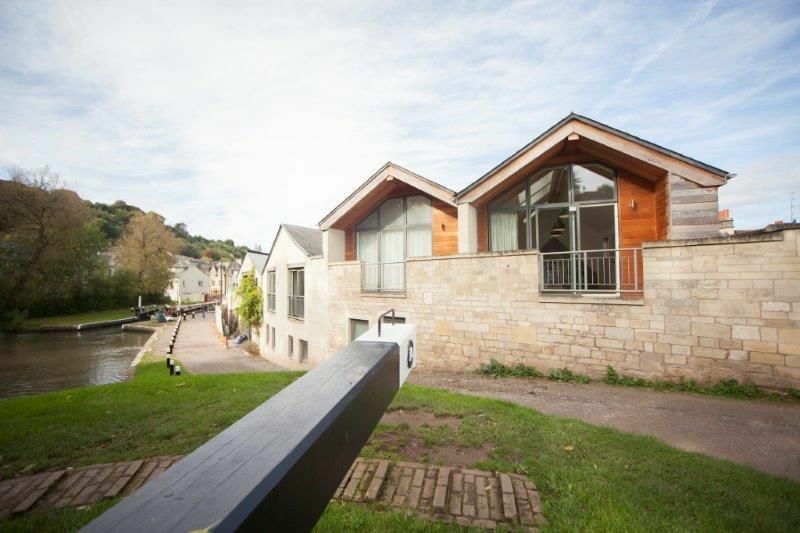 We had a fabulous stay at Bridge Lock Mews. 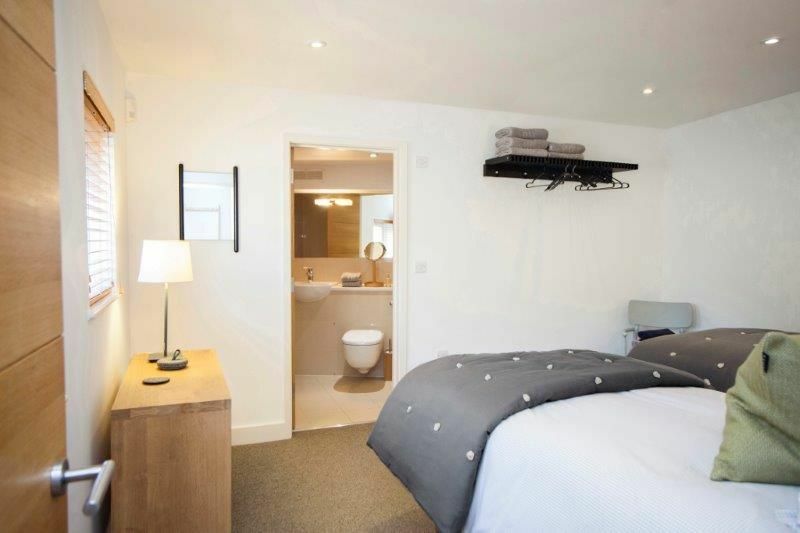 The apartment was spotless & perfectly located for all the attractions in Bath. 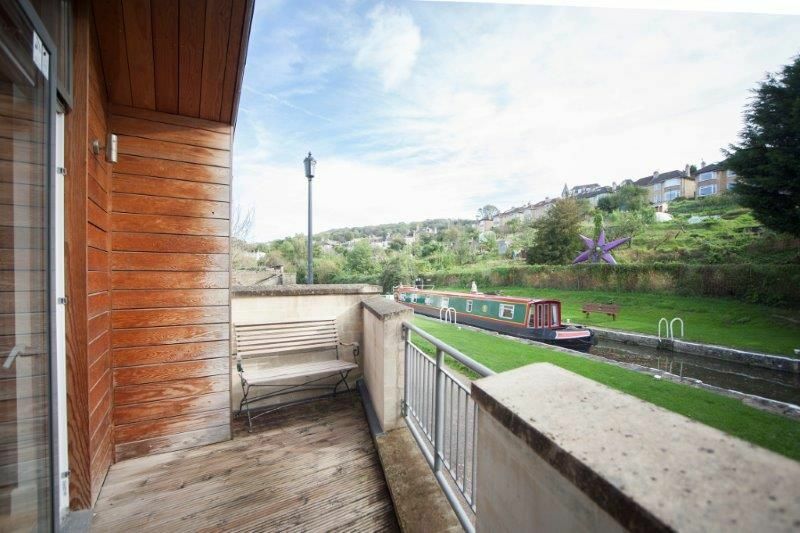 Beautiful views of the canal from the lounge & balcony with everything you could need for our 4 nights stay. We had a very warm welcome & a great welcome pack on arrival which was very much appreciated. Would highly recommend a stay in this beautiful area & apartment. The booking process & dealings with Bath Holiday Rentals was very straightforward & informative & all of the staff were a pleasure to deal with. Our lovely week at Bridge Lock Mews started with a warm welcome from Robert, who kindly met us at quite an inconvenient hour late on Sunday evening. The apartment was beautiful and extremely clean with everything that a family with adult children could need. 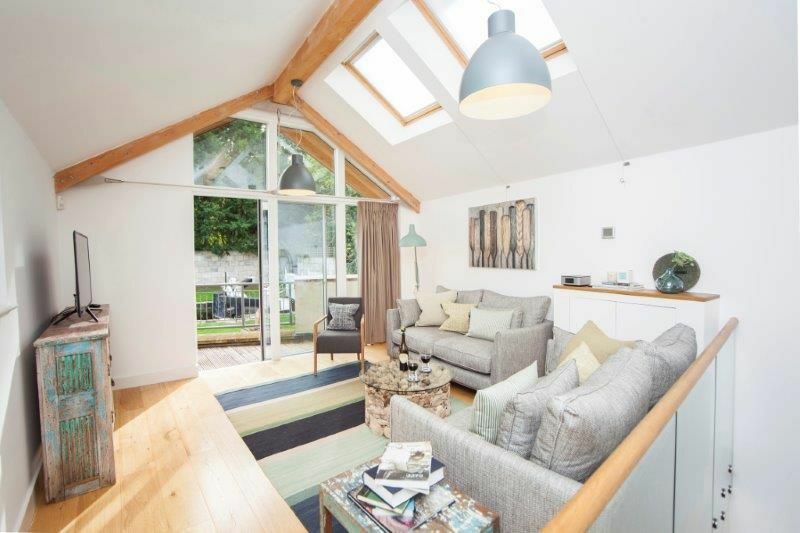 Very relaxing in a great location, only a 5 minute walk to the centre of Bath. The welcome food hamper was also a lovely and much appreciated touch. Lovely, well equipped place! Fabulous location. Enjoyed our stay. Appartment had everything we needed, and very comfortable. Very close to city centre. 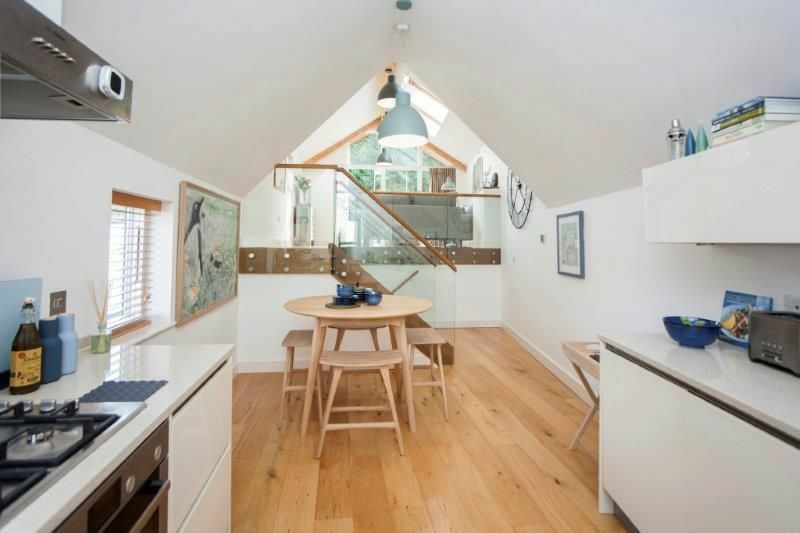 Modern and stylish property, very clean throughout, well equipped kitchen. 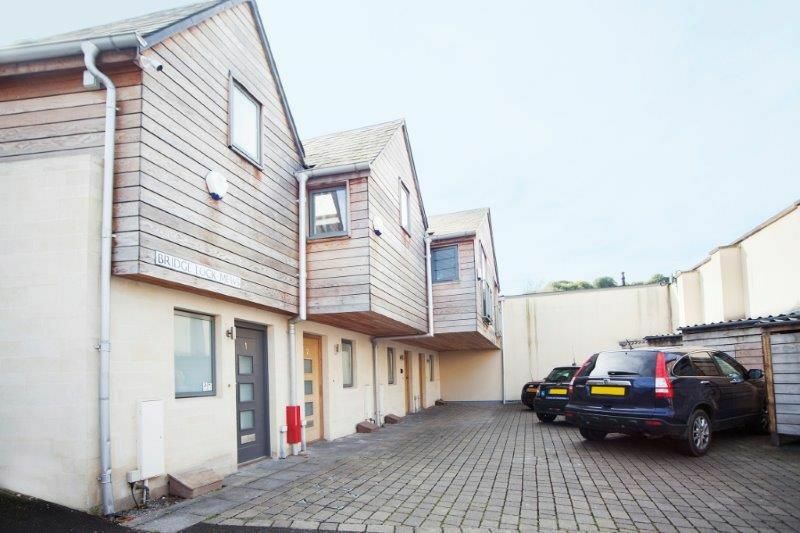 Dedicated parking space for property was one of our 'must haves' as trying to find long-term parking in and around Bath difficult. 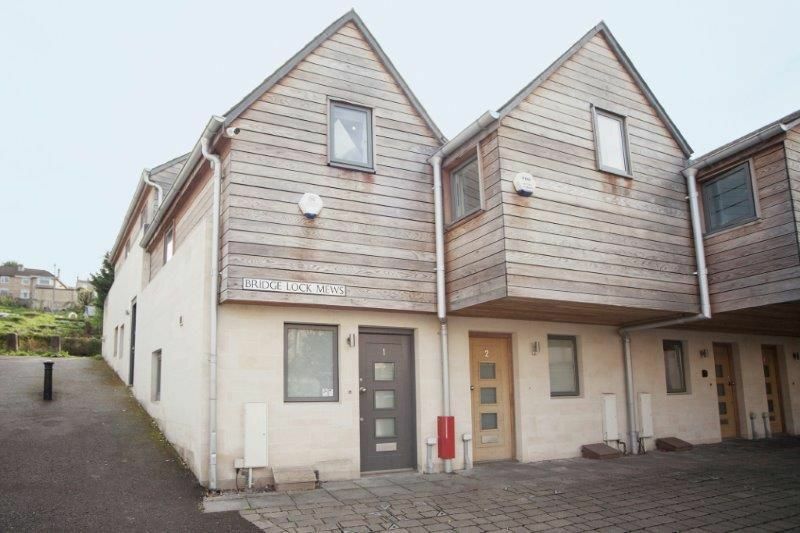 Property location in Widcombe good for easy (10 minutes approximate) walk into central Bath. Alternatively as towpath immediately outside, nice for quiet walk along canal towpath. Couple of pubs close by and also local Co-Op for essentials. Canal lock great location to see kingfisher which I saw several times within few minutes walk of property. Ditto seeing a heron fishing on lock side. Amazing to see kingfisher regularly yards from a road.